Normally, fashion isn’t really a clown’s game, but it’s hard to deny The Joker’s longstanding knack for standing out in a crowd. 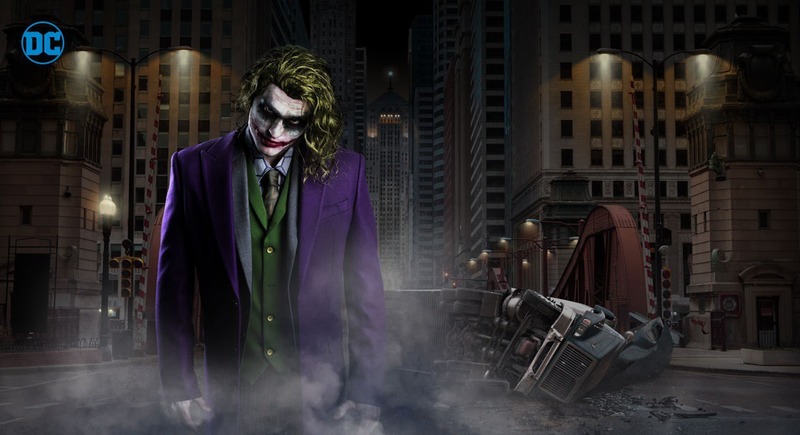 His purple suit, which garners attention from all facets of life, has now become the iconic vision of Gotham City’s most notorious villain. Subtle style has never been the mark of the Super-Villain and following the rules just isn’t his style. 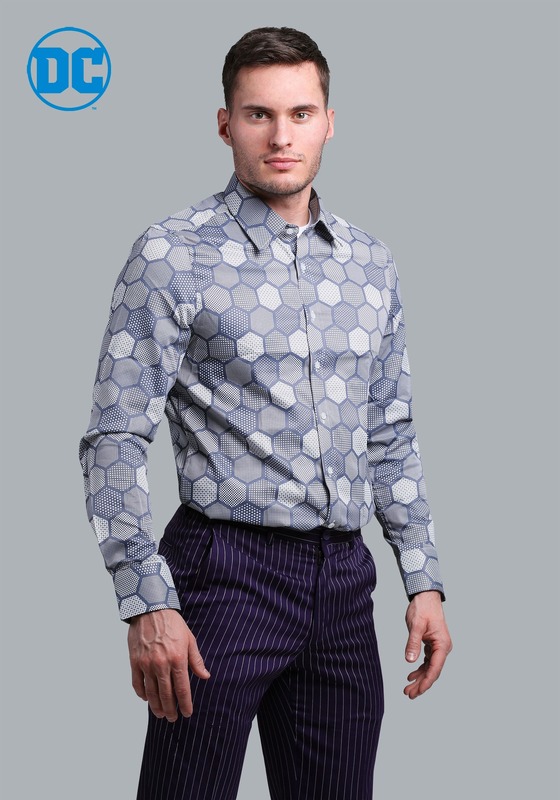 If you plan on standing out from the crowd, then you should be ready to break a few rules by wearing The Joker suit shirt. Composed entirely of polyester, this licensed button-up shirt is covered in a hexagonal pattern inspired by the Dark Knight Trilogy films. It forgoes the conventional style of normal suit shirts by adding a colorful twist not seen in most dress shirts. The high quality shirt is designed to fit perfectly with The Joker suit set, or to fit in perfectly with your villainous wardrobe.